Home / Blog / Remco SwimJet: Create a versatile pool with the latest technology. If you’re looking for ways to create a beautiful adaptable space, including technology in your design can be the key. It can be difficult to create a pool that is both multifunctional and aesthetic, but including a SwimJet with multiple resistance levels is a sleek solution. We have explored a range of design challenges that soon-to-be pool owners, pool builders and architects commonly come across, and how the right technology can solve them. With backyards getting smaller, creating a functional pool in a restricted space is an increasingly common challenge. When a pool requires adaptability, but is short on square metres, it can seem like there is no solution. Rather than allowing functionality to suffer, use a swim jet system to get the most out of the space. A SwimJet will ensure that users can get the maximum use out of their pool. When building a pool, it is vital to design it to fit the people using it, and you must consider what specific purposes it will be used for. Pools must often cater to multiple users requiring different space and functionality, creating the need for a high-performing pool. 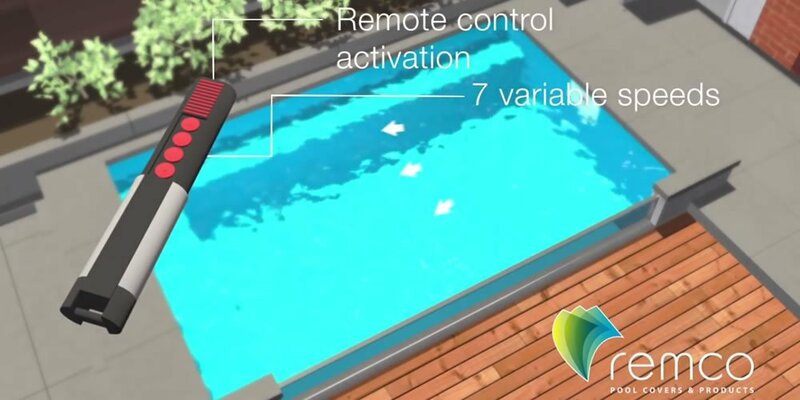 The Remco SwimJet takes this into account, including seven remote-controlled resistance levels, ensuring that the pool can be used by fitness fanatics, kids and for general recreation alike. Some client budgets make the installation of swim jet systems and other technology seem unachievable. Traditional swim jets currently on the market require complex pumps and plumbing that can drive up costs significantly. Remco’s SwimJet system has eliminated this issue with its impeller system, ensuring that installation is as straightforward as possible, allowing you to realise your vision of creating a versatile and functional pool. To find out more about more about Remco’s SwimJet systems, contact us today.